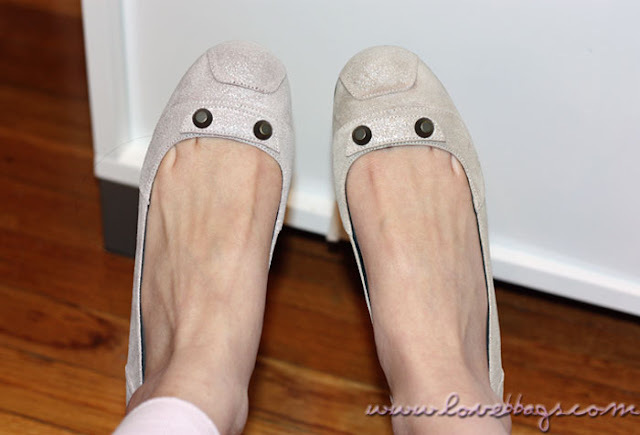 I got these flats at a really good price on ebay since one shoe has faded to a yellowish color. So my guess is that the faded shoe was the display and the pink one was stored in the box the entire time. 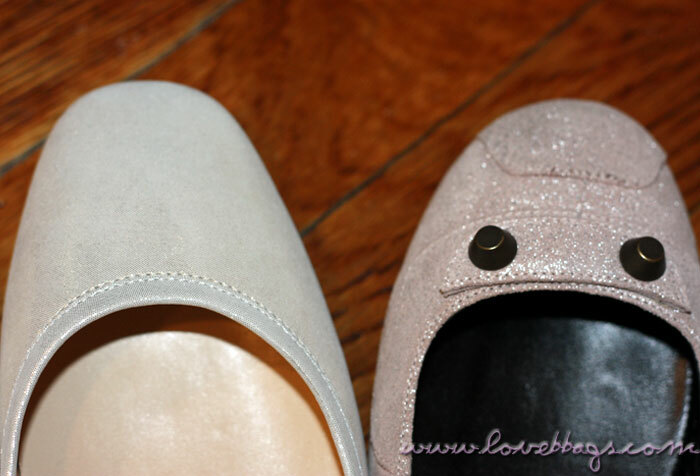 I love the Bois De Rose color and the suede metallic finish looks beautiful and has just the right amount of glimmer. I also love the regular hardware on these flats, it adds a really pretty contrast against the pale Bois De Rose color. I wore them for a few hours the other day and I have to say they are very delicate. I walked very carefully trying not to scrape the suede leather and tried to avoid being stepped on (very hard to do with a three year old). 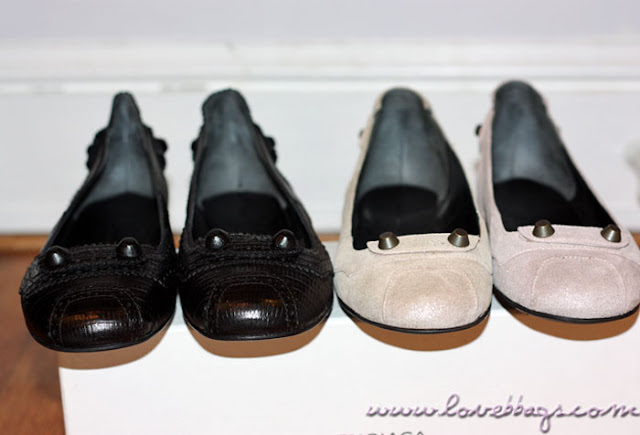 The metallic finish suede feels very different from their traditional lambskin flats. The shoe felt stiff and probably wouldn't stretch as much the lambskin ones since the leather is reinforced. I would recommend to order your true size for this particular style and also for the lizard embossed as they both don't seem to stretch much. I saw a pair of Sorbet flats at Barneys that were on display that had stretched a lot from only being tried on, so I would recommend a half size smaller for this material. The Craquele material is slightly different from the 2009 LE Stardust. As you can see from the pics, my Stardust Pencil does not have the suede feel to it, instead it's more smooth metallic calfskin with a layer stardust covered on it. I have not experienced any flaking with the LE Stardust yet. 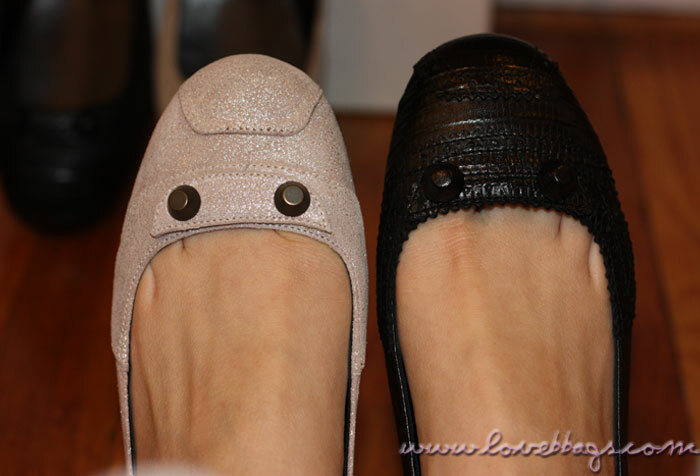 I also did a comparison shot with my Jimmy Choo flats that are also made from calfskin but have a layer of fabric-like shimmer in it. They are heavier and probably more sturdy than the Balenciaga Craquele. That said, I love Balenciaga flats; it's a very refreshing alternative to Lanvins. :) Honestly, if I could wear head-to-toe Balenciaga, I would! lol. 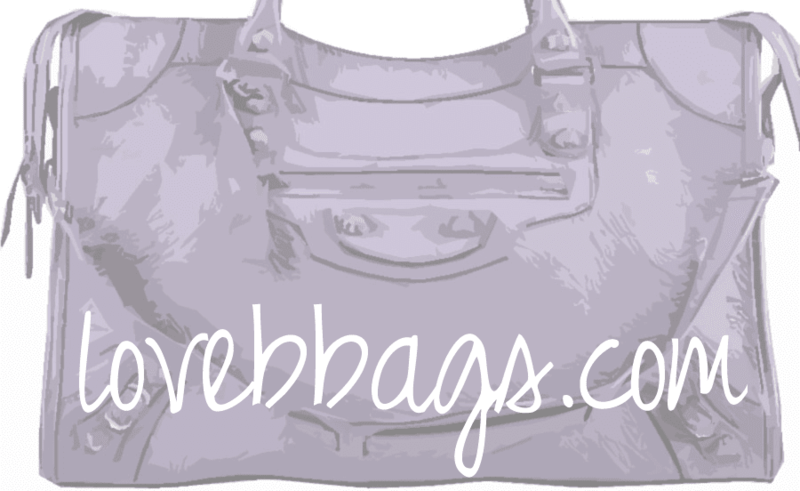 If you haven't already entered the giveaway for a Balenciaga canvas drawstring pouch filled with goodies, click here for the entry form. Ends the 19th.